Colourful little diabetic morsels of sugary delight. Aren’t they just so purrrr-dayy? Growing up, these were a rare treat. 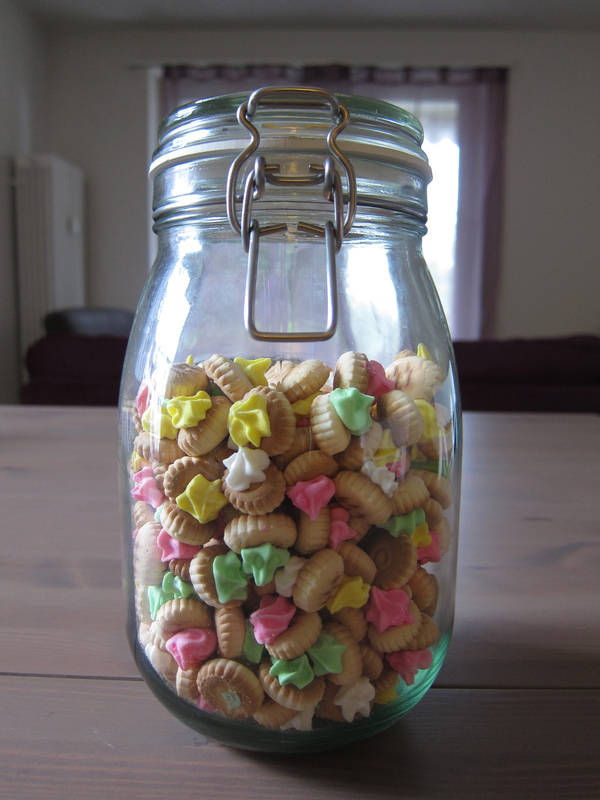 Not because they were difficult to obtain, but because like carbonated drinks, junk food (Tora and Ding Dang come to mind) and fast food, iced gems were considered nutritionally suspect at best, and rubbish at worst. But unlike carbonated drinks, which I never really fancied, or Tora and Ding Dang, which tasted like plastic-coated polysterene balls, I actually liked iced gems. I lusted over the perfectly piped sugar crowns, winking and waving at me from behind the glass jars. They beckoned me. But they were forbidden fruit. 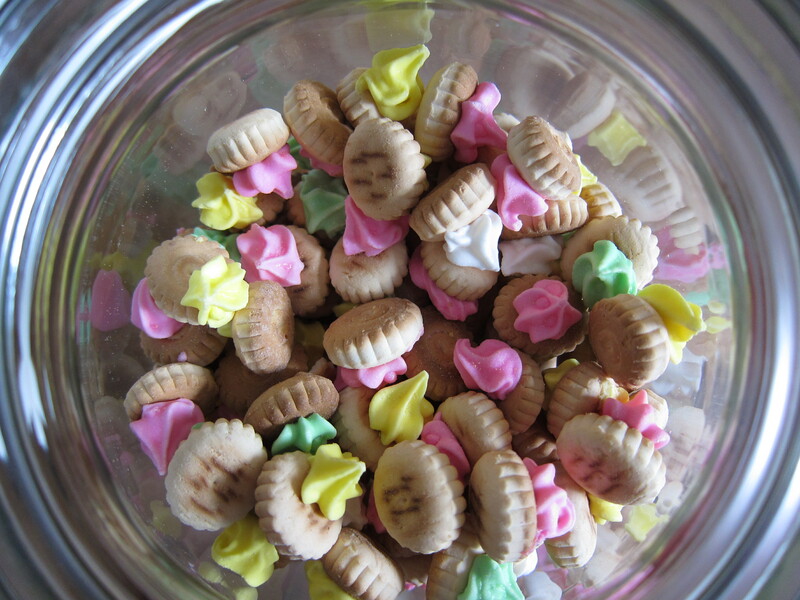 Fast forward to more than two decades later, when I suddenly developed a nostalgic craving for the sugary treats. 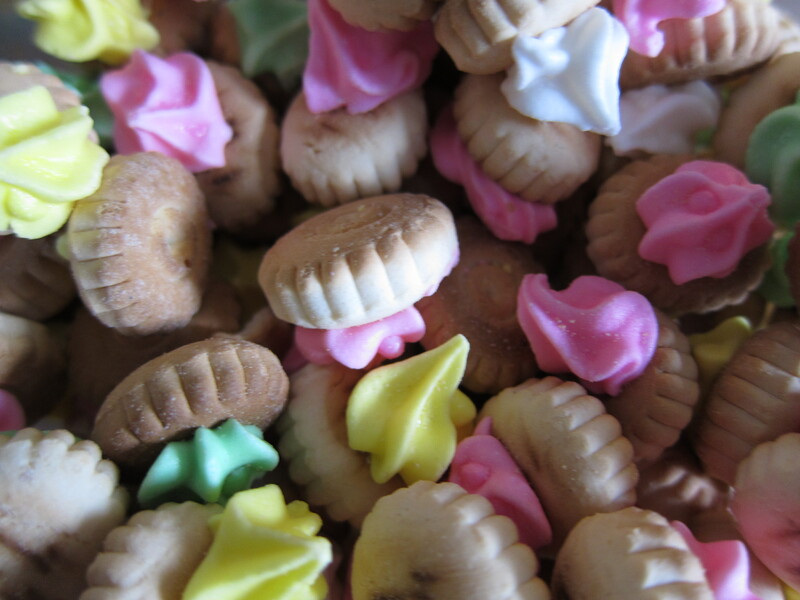 So off I went to the neighbourhood kedai biskut, bought myself a half-kilo packet of iced gems, and carefully, lovingly, packed it in my luggage. They’re currently sitting prettily in a glass jar, waiting to be devoured. Surprisingly enough, I haven’t been able to wolf them down in one sitting. At the most, I’ll munch on two or three every now and then. Which is for the best, I suppose. Because after all, they have the nutritional value of a kidney failure. This entry was posted in Blog and tagged Ding Dang, food, iced gems, Tora. Bookmark the permalink.